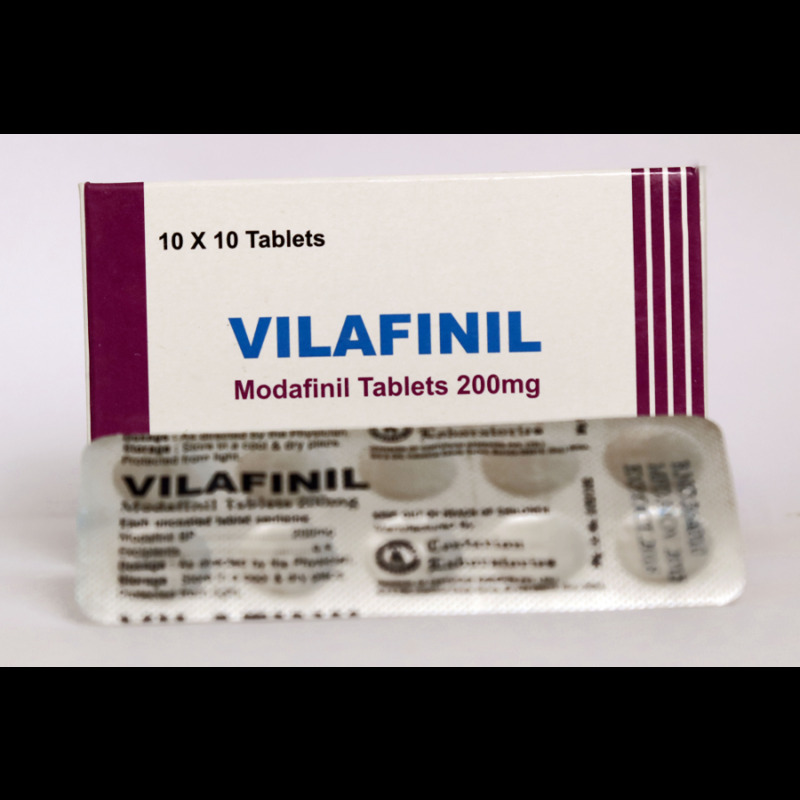 Despite intensive research into the interaction of modafinil with a large number of neurotransmitters, the exact mechanism or complex of interaction mechanisms remains unclear. Probably modafinil, like other stimulants, increases the release of monoamines – especially catecholamine of norpinephrine and dopamine – from synaptic clefts. At the same time, modafinil increases the level of histamines in the hypothalamus, which led some researchers to consider modafinil to be a “remedy for insomnia” rather than a classic amphetamine-like stimulant. Studies show that modafinil “has a low potential for serious abuse” and “does not develop addiction among first-time users.” The combined effect of modafinil on both the catechilamine and histamine pathways reduces the potential for abuse compared to traditional stimulant medications, while at the same time, the effectiveness of insomnia cures remains. During his research and sales Vilafinil, no side effects have been identified, except in rare cases of mild nausea and headache. At the moment, modafinil is considered safer than caffeine and more effective than amphetamines.